Below is a brief listing of some useful literature for identifying the native flora of New Mexico. Allred, K.W. 2002. Bernardia (Euphorbiaceae) in New Mexico. The New Mexico Botanist 24:5. Allred, K.W. and S. Johnson. 2003. A Taxonomic Review of the Tendril-bearing Legumes (Leguminosae) in New Mexico: II. Vicia. The New Mexico Botanist 26:1-5. Allred, K.W. 2004. Datura (Solanaceae) in New Mexico. The New Mexico Botanist 30:5. Allred, K.W. 2005. Chenopodium in New Mexico. The New Mexico Botanist 32:1-5. Allred, K.W. 2005. A Synopsis of Symphoricarpos (Caprifoliaceae) in New Mexico. The New Mexico Botanist 33:5-6. Bleakly, D.L. 2000. A Key To Calochortus In New Mexico. The New Mexico Botanist 16:4. Cox, G.W. 2001. An Inventory and Analysis of the Alien Plant Flora of New Mexico. The New Mexico Botanist 17:1-7. Ferguson, D.J. 2001. Phemeranthus and Talinum (Portulacaceae) in New Mexico. The New Mexico Botanist 20:1-7. Fraiser, C.K. 1999. A Taxonomic Study of Philadelphus (Hydrangeaceae) as It Occurs in New Mexico. The New Mexico Botanist 13:1-6. Jercinovic, E. 2007. The Status of the Genus Chamaesyce in New Mexico. The New Mexico Botanist 40:1-14. Johnson, S. and K.W. Allred. 2003. A Taxonomic Review of the Tendril-bearing Legumes (Leguminosae) in New Mexico: I. Lathyrus. The New Mexico Botanist 25:1-7. Peterson, R.S. and R. Spellenberg. 2005. Abutilon (Malvaceae) in and near New Mexico. The New Mexico Botanist 32:6. Peterson, R.S. 2005. Mistletoes (Viscaceae) of New Mexico. The New Mexico Botanist 33:3-4. Sivinski, R.C. 1998. The genus Cryptantha (Boraginaceae) in New Mexico. The New Mexico Botanist 8:2-9. Sivinski, R.C. 2001. The genus Plantago (Plantaginaceae) in New Mexico. The New Mexico Botanist 18:1-3. Sivinski, R.C. 2003. The genus Allium (Liliaceae) in New Mexico. The New Mexico Botanist 27:1-6. Sivinski, R.C. 2007. 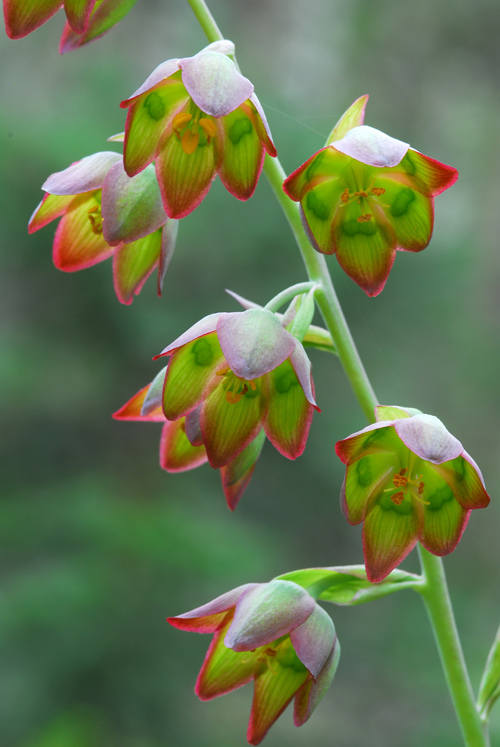 Checklist of vascular plants in the Sandia and Manzano mountains of central New Mexico. Occasional Papers of the Museum of Southwestern Biology, No, 10, University of New Mexico, Albuquerque. Sivinski, R.C. 2008. Some observations on the dry, dehiscent-fruited yuccas of New Mexico. The New Mexico Botanist 43:1-4. Sivinski, R.C. 2009. Identification of Mentzelia species in New Mexico. The New Mexico Botanist 48:1-4. Todsen, T. 2000. Artificial Key to the Orchids of New Mexico. The New Mexico Botanist 14:1-2.